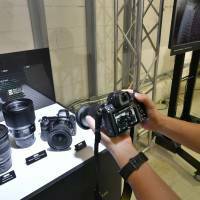 In a long-awaited event livestreamed worldwide, Nikon Corp. unveiled its first full-frame mirrorless camera system Thursday, finally entering a segment that is still growing despite the explosive proliferation of camera-equipped smartphones. Nikon’s Z7 weighs only 675 grams and is equipped with a 45.75 million-pixel sensor and 493 auto-focus points on its electronic viewfinder screen. The camera also boasts a much smaller body and larger lens mount than those of Nikon’s traditional F lens mount, part of its single-lens reflex cameras. 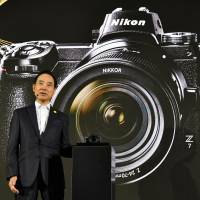 The Z system, with its larger lens mount, will allow the company to develop “a new dimension in optical performance,” Nikon President and Representative Director Kazuo Ushida said at a news conference in Tokyo. Nikon’s F mount has been around for nearly 60 years and is considered a symbol of its traditions and quality. But its relatively small inside diameter of 44 millimeters has proven to be a bottleneck for developing lenses with higher resolution. The Z mount has a diameter of 55 mm. 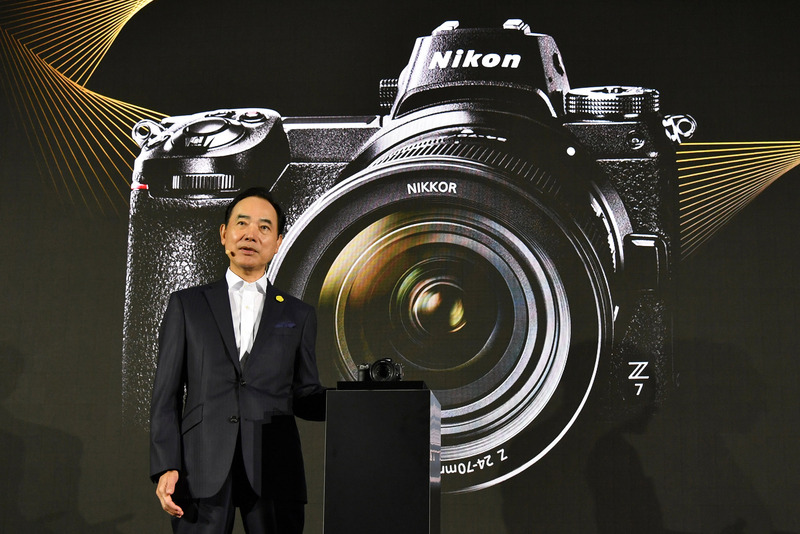 The Z7, which debuts with three new lenses, will go on sale in September for an expected ¥440,000 for the body alone, Nikon said. The Z6, a less expensive model with a 24.5-million-pixel sensor and 273 auto-focus points, will be put on sale around late November with an expected price of around ¥270,000, according to the camera-maker. 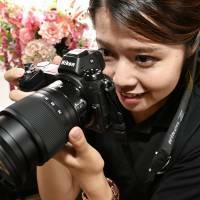 The Z series represents a big strategic shift for Nikon, which, together with Canon, has long dominated the world’s high-end camera market with its single-lens reflex models. SLR cameras use a mirror to reflect light to an optical viewfinder so the subject can be seen in real time. When the user releases the shutter, the mirror quickly moves up so the light can reach a digital sensor. But mirrorless cameras eliminate the moving mirrors in favor of an electronic viewfinder or monitoring display. Such cameras are generally lighter and smaller than SLRs. 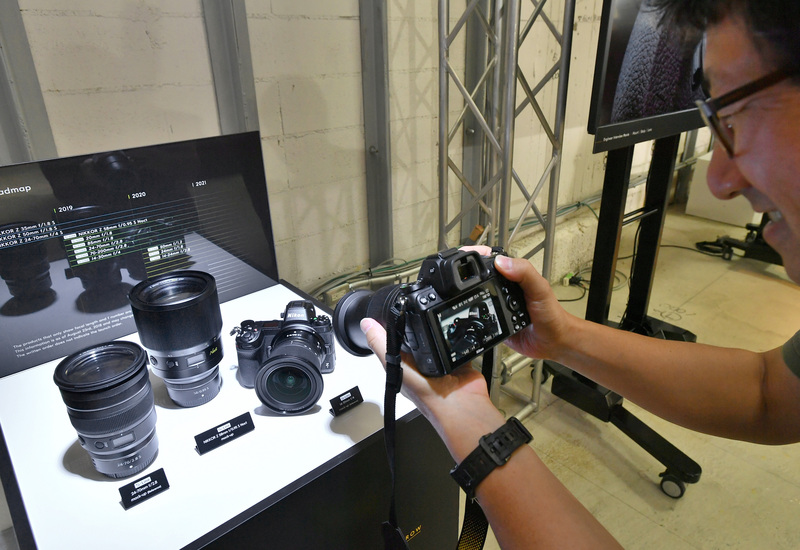 According to the Camera & Imaging Products Association, total shipments of mirrorless cameras in Japan reached ¥15.65 billion in the first half, up 11.5 percent from the last year, while shipments of digital SLRs plummeted 20.8 percent to ¥13.78 billion. 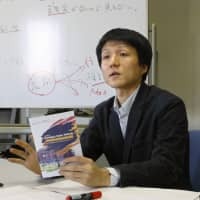 At the news conference in Tokyo, Ushida admitted that young users of smartphones would likely prefer mirrorless cameras to SLRs if they ever upgraded. 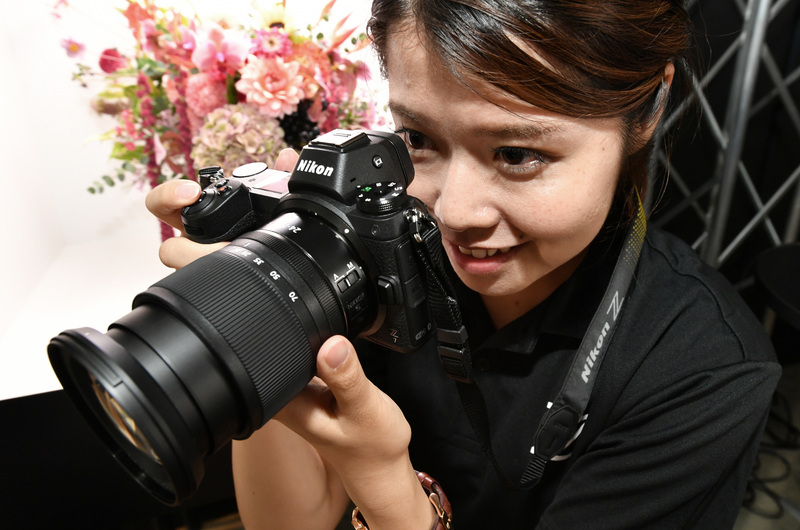 “The chance is high that the mirrorless-camera market will keep growing,” Ushida said, adding that it will keep providing SLR cameras to customers who prefer optical viewfinders. 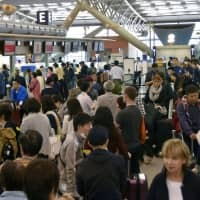 Despite the much-anticipated release of the Z series, it remains unclear if Nikon can maintain its dominance by outdoing its rivals, particularly Sony Corp.
Sony, one of the top producers of state-of-the-art image sensors, has led the evolution of high-end mirrorless cameras and now threatens Nikon’s position. 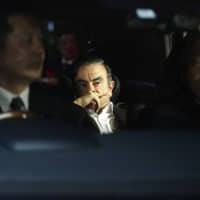 Sony’s a9, which has a 24.2-million-pixel sensor, boasts an ultra-high shooting speed of 20 frames per second, while the Z6 can shoot only 12 frames per second.